Things at SC Carts have been going crazy with orders. 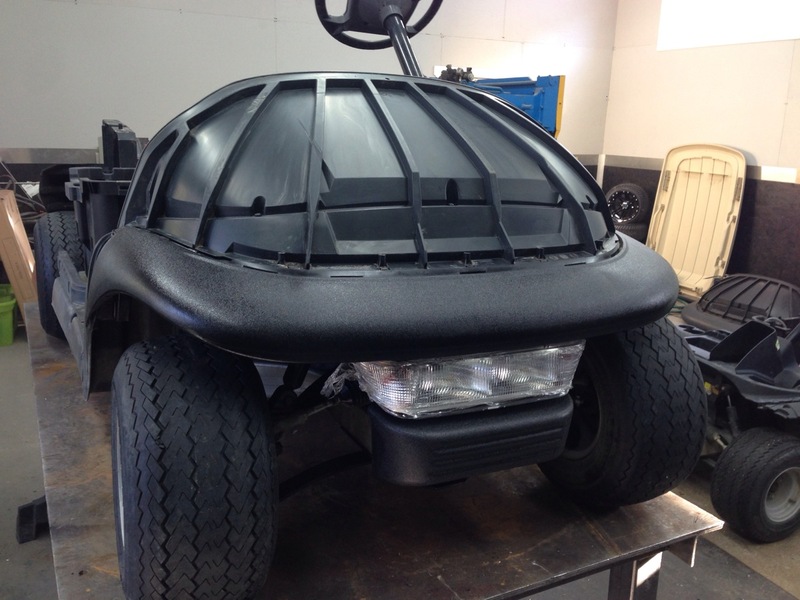 We are working non stop to get our customers awesome carts built. 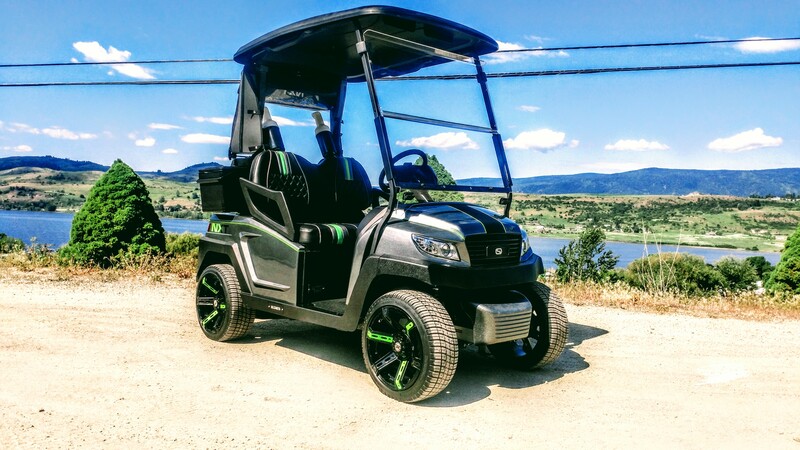 This cool cruiser belongs to a friend of theF150 inspired build from our understanding these cool carts are going to be hanging out in the same golf community! A little friendly neighborhood rivalry is always fun! You are going to want to follow both of these builds! Here’s another Precedent fresh off the truck. 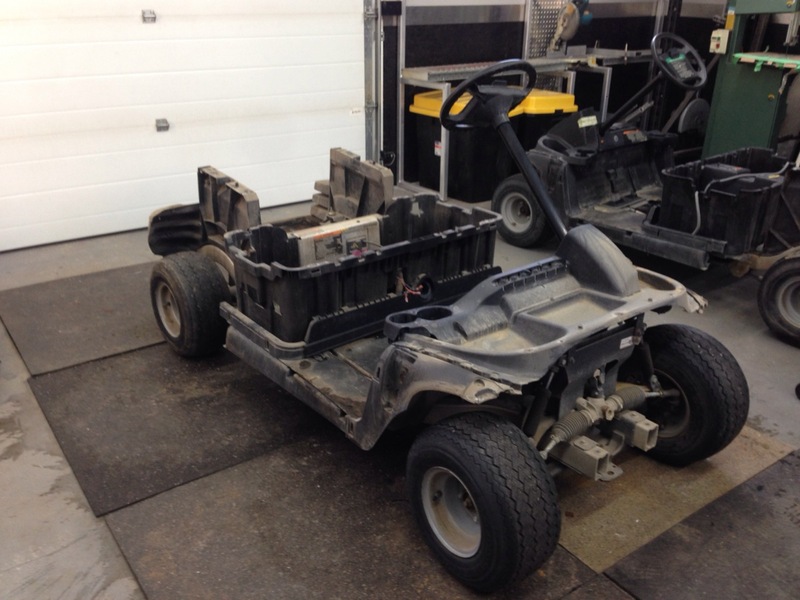 With the help of a few air tools, the Club Car is ready for pressuring washing. 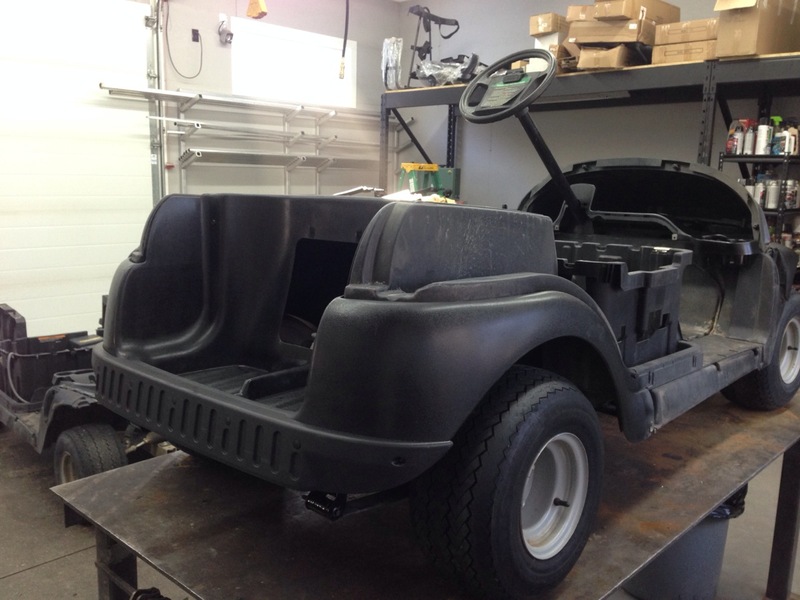 After a good pressure wash the soon to be custom cart is up on the operating table. 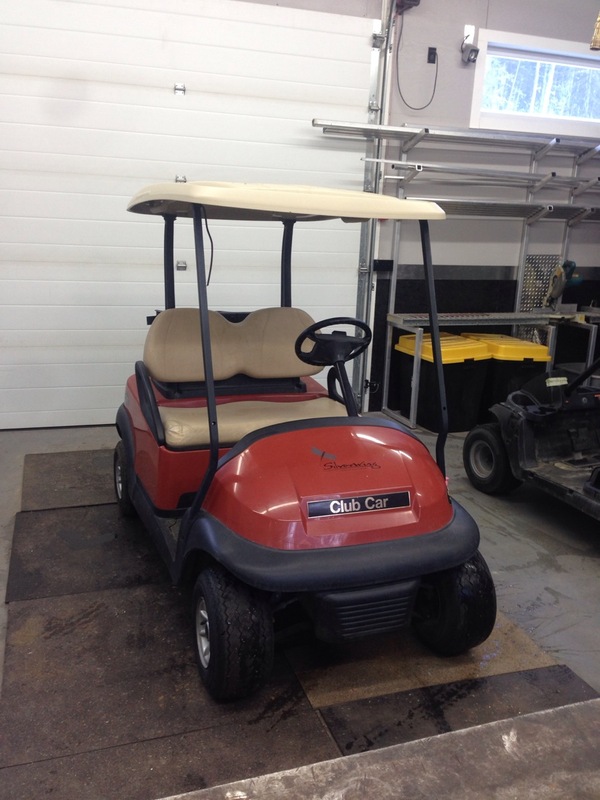 As part of our SC Carts refurbishing process the brakes get completed cleaned, adjusted and inspected. 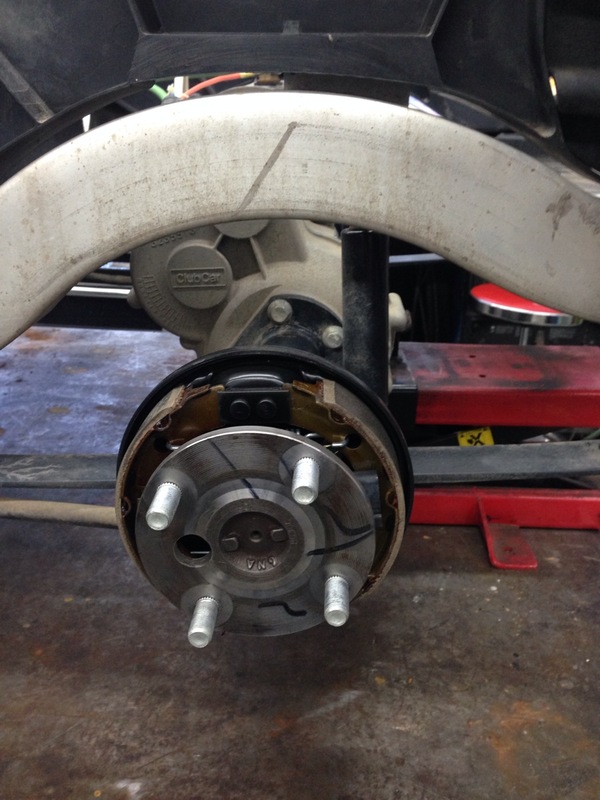 Pads are also replaced when needed. 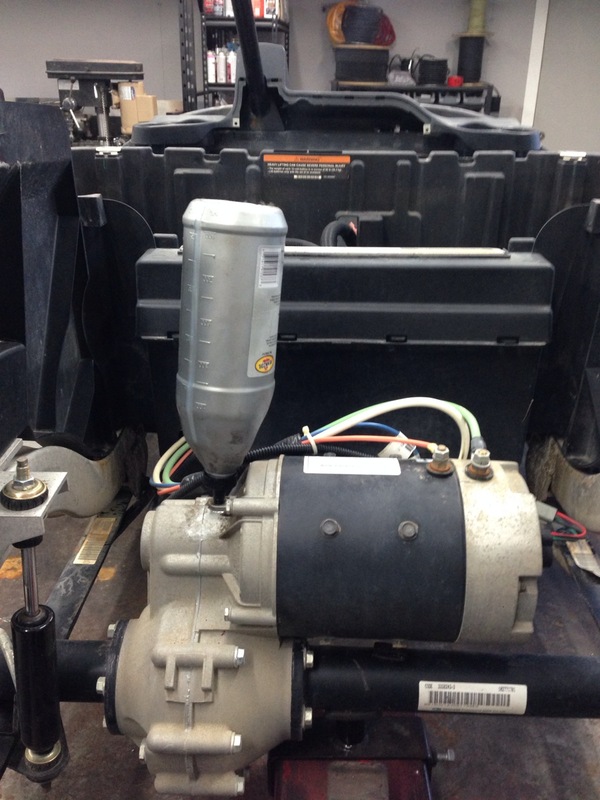 Fresh gear oil gets added to the rear end to keep the bullet proof Precedent drivetrain in top condition. 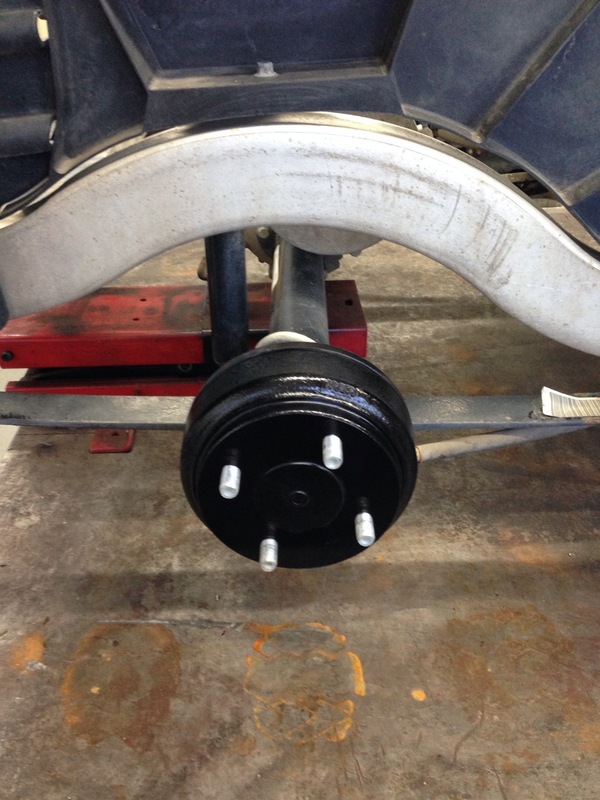 Next we install the freshly sanded and painted Club Car drum brakes. We moved onto the front end. As part of our inspection we check the play in the spindles. 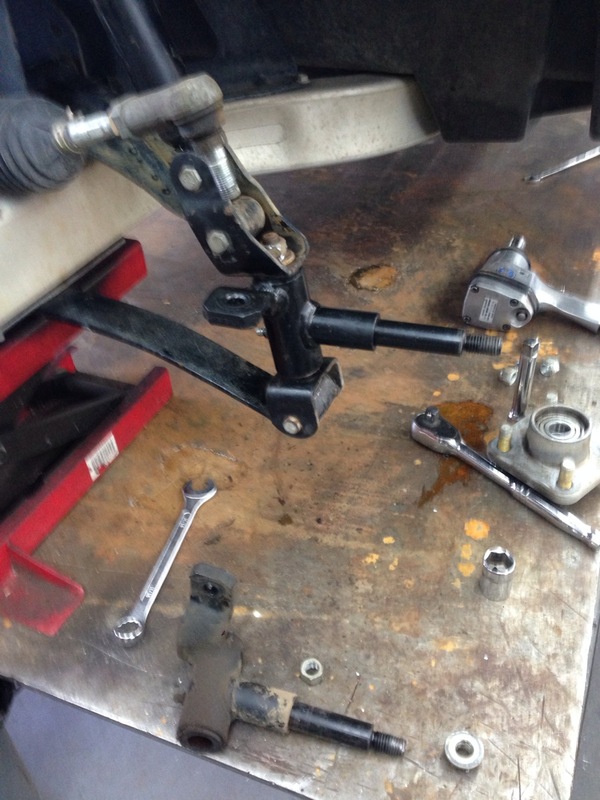 We found the drivers side spindle bushings quite sloppy, so we changed out the whole spindle. 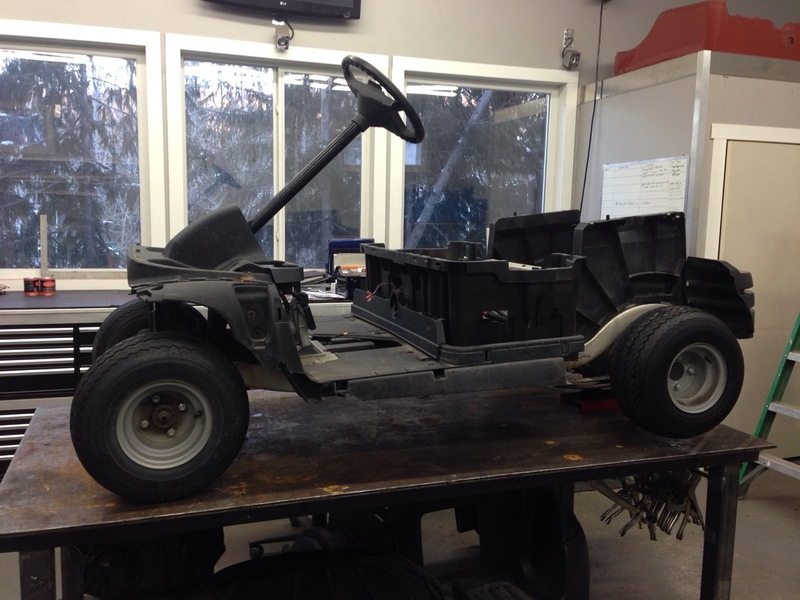 This is why SC Carts feels it is so important to put each cart through a thorough refurbishing process! 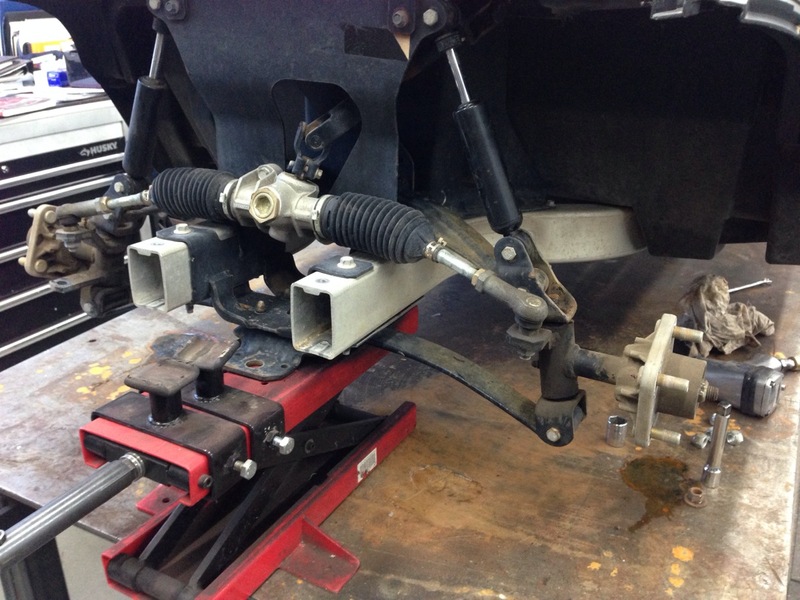 Here is the new Club Car factory spindle installed. With the entire inspection completed on the front end, this is what we are left with. An clean, tight front end! With the drivetrain end of things wrapped up we installed the front headlight package and the front underbody. 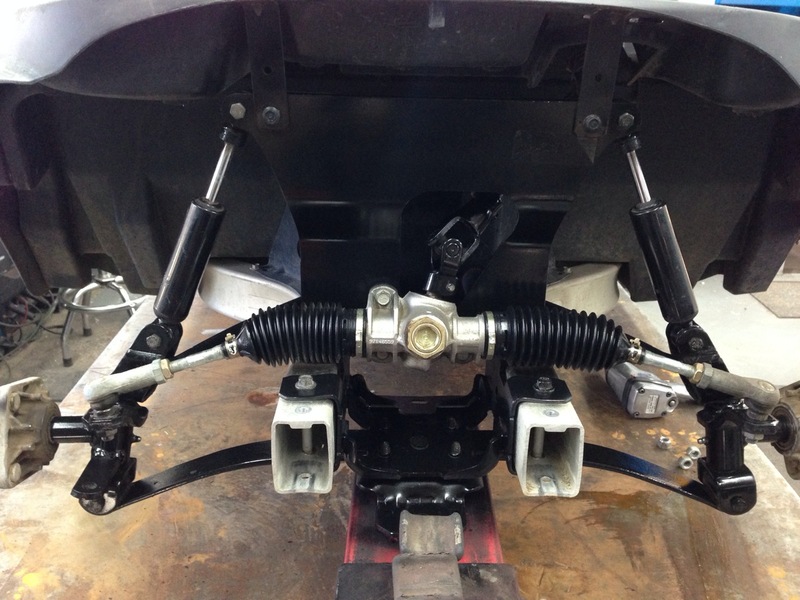 Next it was time to install the rear underbody on the custom Precedent. We also added our rear bumper protector to give it a bit more of a sporty look. That’s it for this week. You guys might be wondering why there aren’t any fancy rims on this bad boy… Don’t worry they are coming, with the bad weather in the US it has delay a couple of our large shipments. Make sure to come back next week when we add a bit of color to this beauty! Checkout our Facebook page to see what goes on between UPLOAD TUESDAYS!! !